Hi i am new to the forum, looks great - looking forward to learning alot. both sea themed phrases, which i originally intended to simply translate into eldar futhark, so then i thought well i probably need to spell them phonetically first, then i thought maybe i should take it further, firstly is the 'devil' appropriate? as the devil in this sense doesnt exist in norse mythology, is there something more appropriate, perhaps between 'Hel' and the deep sea? 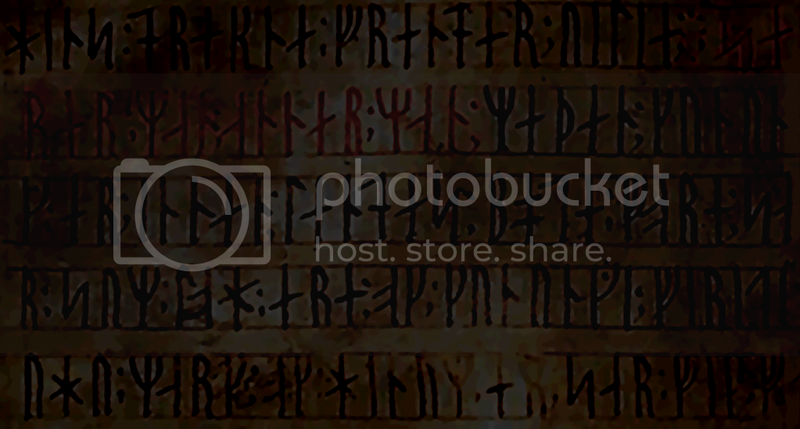 also i thought i may be better trying to translate it to old norse then to runes correctly. Any advice much appreciated! i feel for this task i may need to be lazy and get alot fo help, but i promise i will long term make a less lazy effort to learn to do it myself! i had a chocie of words for sea, but coming from shetland haf was very appropriate as we call the old fishing grounds the far haff. no idea what to do for 'the' so i just left it out. if i am translating these to eldar futhark, so i use 'F' for 'V'? and 'þ' for 'ð'? You had a good go, but grammar always makes things complicated right? Well, milli is a better word for between, and it takes the genitive, so Hel and the deep sea have to both be in genitive. and Eða is actually "or"
"Milli heljar ok djúps hafs" - "Between Hel and the deep sea"
"Þrjú skaut til vinds" - "Three sheets (ropes) to the wind"
Skaut also refers to the rope meant by "three sheets" in this case. I personally frown upon Elder Fuþark used with Old Norse... Younger Fuþark is what goes with Old Norse... but it's still popular to use Elder Fuþark instead.